The renowned nutrition expert and researcher discusses how he encapsulated the expertise in his cookbooks, secrets of healthy eating and much more! Dr. Fuhrman, M.D. is a family physician, New York Times best-selling author and nutritional researcher who specializes in preventing and reversing disease through nutritional and natural methods. His health (longevity) equation H = N/C, (healthy life expectancy is proportional to lifetime intake of micronutrient diversity and quantity per calorie) has interested scientists the world over. He is also regraded as the father of Nutritarian eating. As an advocate of diets rich in a vast array of plant micronutrients per calorie, his ANDI scoring system, featured in Whole Foods Market, has directed millions of consumers to eat an anti-cancer diet-style. Consumer Health Digest interviewed Dr. Joel Fuhrman on inspiration behind his work, the creation of his cookbooks and how he used his experience in making a difference in people’s lives. 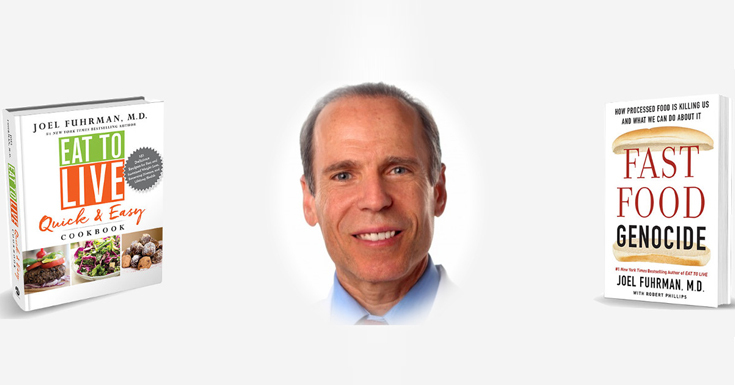 Dr.Fuhrman, how did you become passionate about healthy eating? What made you choose this profession? My interest in nutrition was sparked when I was a teenager. My father suffered from weight issues and osteoarthritis, and the medical profession couldn’t help him. He collected and read dozens of books on nutrition, and this information helped him lose 50 pounds and regain his health. I read every one of those books, and decided to go to medical school – I was determined to be the kind of doctor who would help people prevent and reverse disease through nutritional methods. I later designed the Nutritarian diet, an eating style that emphasizes whole plant foods and maximizes the number of micronutrients per calorie. This diet is hormonally favorable, and includes a full portfolio of the anti-cancer superfoods including: greens, beans, onions, mushrooms, berries and seeds. You are the author of Eat to Live Quick and Easy Cookbook and Fast Food Genocide. Tell us about them. People who loved my original Eat to Live Cookbook wanted more recipes, and a lot of people who were new to the Nutritarian diet wanted to make healthy food that didn’t require a lot of time in the kitchen. Put them together, and that was the inspiration for the Eat to Live Quick and Easy Cookbook – it’s got 131 easy recipes that will take you from breakfast to lunch, dinner, and dessert, with a great variety of dishes. While the recipes are all plant-based and contain no added sweeteners, oils, salt or white flour products, many of the dishes give you the option to include a small amount of animal protein if desired. Regarding my book Fast Food Genocide, I’ll start with a statistic: Fast food kills more people than smoking, because of the overwhelming number of people who eat it on a regular basis. I felt compelled to write Fast Food Genocide – and I chose that provocative title deliberately – because “genocide” is the most accurate way to describe fast food’s devastating effects on our society. The “Frankenfoods” that are so widely available were designed by the food industry to be highly addictive, cheap to produce, and therefore, highly profitable. Getting the population “hooked” on these addictive substances, is creating an explosion of disease, suffering and death that is even worse in vulnerable urban populations. In the book, I offer a plan to reverse this trend and save lives. You serve as the President of the Nutritional Research Foundation, anything you would like to share about it? I founded the Nutritional Research Foundation in the belief that everyone should know about the power of diet to heal, prevent and recover from illness. If we can change the way health professionals and physicians regard nutrition, then we can save millions from endless suffering and premature death. The only way to educate the broader population about the powerful effects of high-nutrient diets on chronic diseases and overall health is by conducting research that tracks a large population over a long period of time with documented results. The Nutritarian Women’s Health Study, conducted by a research team at Northern Arizona University, is one such study which the NRF supports. This study also aims to prove breast cancer is fully preventable with a plant-rich diet that includes the regular consumption of GBOMBS (Greens, Beans, Onions, Mushrooms, Berries and Seeds). If you could persuade people to change three things about their diet, what would they be? 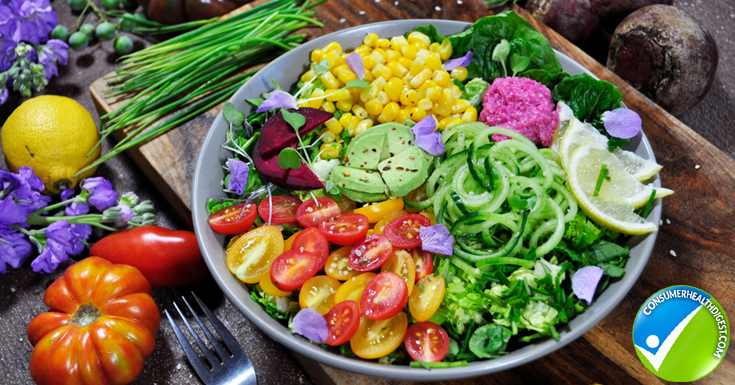 First: Eat a large salad every day, with some raw onion and raw cruciferous vegetables, and a nut and seed-based dressing. Second: Stop eating processed foods, white flour, animal products and anything with added sugar, salt, or oil. Third: Focus on the micronutrient density of your food. All vegetables are not equal – kale and other greens are low in calories and highly nutritious, while white rice and white potatoes are high glycemic foods that should not be a major source of calories. And here’s a Fourth, as a bonus: Pay attention to your cooking methods – don’t bake, roast, broil or char your food. If your food is brown or crispy, it means that it has formed acrylamide, which is known to be toxic and may increase your risk of cancer. What are some of the most common nutritional mistakes you observe in your patients? Sometimes, people think that they can eat a Nutritarian diet but be only 80 or 90 percent compliant. That just gets them into trouble, because they keep eating the same addictive, unhealthy foods that got them into trouble in the first place. They don’t give their taste buds a chance to recover from the deadening effects of salt, oil, and sugar, which means they can’t taste the exquisite flavors of natural foods. Another common mistake is thinking that a plant-based diet doesn’t require supplementation. The vast majority of your nutrients should come from vegetables, fruits, legumes, nuts, and seeds, but even an ideal diet requires certain supplements to maximize healthspan and lifespan. When you switch to a plant-based diet and decrease or eliminate animal products, be proactive about assuring you get adequate levels of DHA and EPA (omega-3 fatty acids), zinc, iodine, and vitamins B12, and D.
What are the methods you use to help your patients achieve their goals? I empower people with knowledge – that’s the best way to help them achieve their goals. It’s why I write books, go on lecture tours and hold weeklong immersions. And now I have established the Eat to Live Retreat in San Diego. People come for four- to twelve-week sessions (and beyond) to transform their health. I supervise their medical care, and my team of experts helps them reduce and reverse diabetes, cardiovascular disease, autoimmune conditions and resolve food addictions – all using the power of nutritional excellence. As I mentioned, I am spending a great deal of time at the Eat to Live Retreat, working with guests and seeing amazing recoveries, thanks to the healing power of nutritional excellence. I am also writing a new book that will be the definitive text on the Nutritarian diet. And I lecture in cities throughout the country, plus I have two weeklong immersions coming up – In New Jersey, June 2-8, 2019, and in Scott’s Valley, California, July 14-19, 2019. The details are on my website, DrFuhrman.com.